the company which works in the innovative products, useful for the industries to develop Environment Friendly Atmosphere and Enhancement of Performance. ANSI, the leading Manufacturer & Supplier of Water Treatment Plant, Solar Panel, Sewage Treatment Plant, Rain Water Harvesting, DayLight & Heat Transfer System, Industrial DayLight System etc. M/s. A & SÂ Infrastructure has become One Stop Shop for all green earth compliance, O.C. 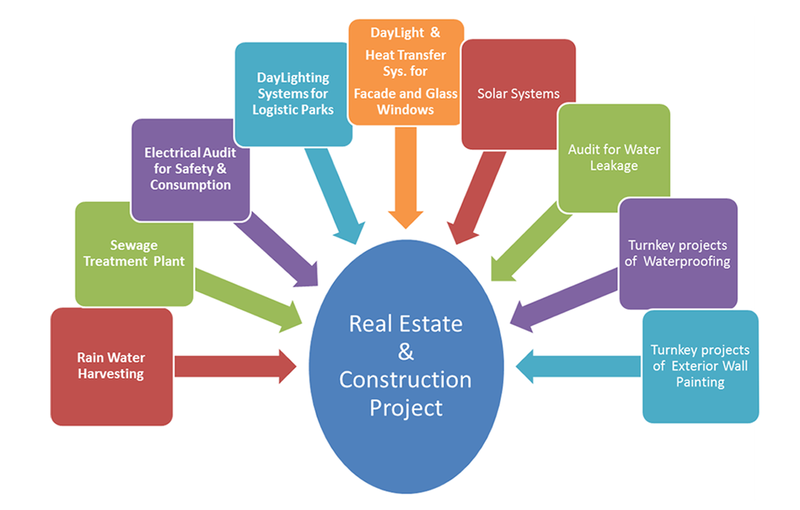 Compliance & requirment of architects in real estate development. Today entire industrial and real estate development thrives for the protection of environment and maximum utilization of natural resources. During this process it has been observed that the implementation of these policies are finding difficult as all these products and services are catered by different organizations and project managers are forced to spend more time in following then and correcting the mistakes by these companies. In Mumbai and metro cities more than 80% constructions are old and urgently needed to be taken care for Water leakages and re-plastering along with exterior paintings.